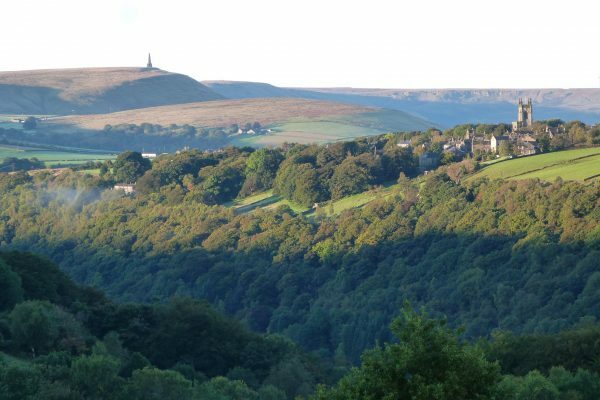 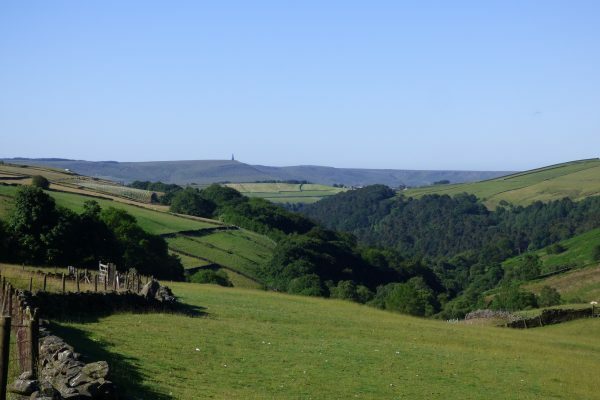 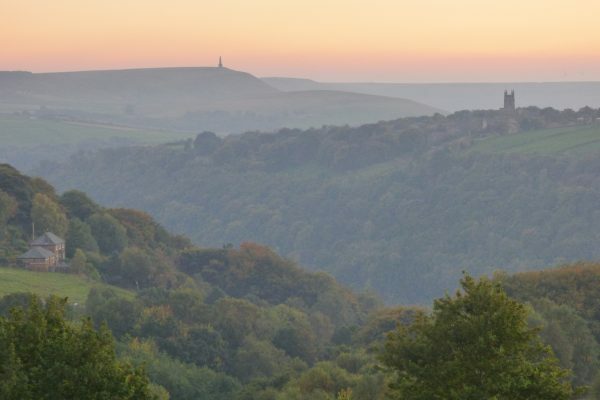 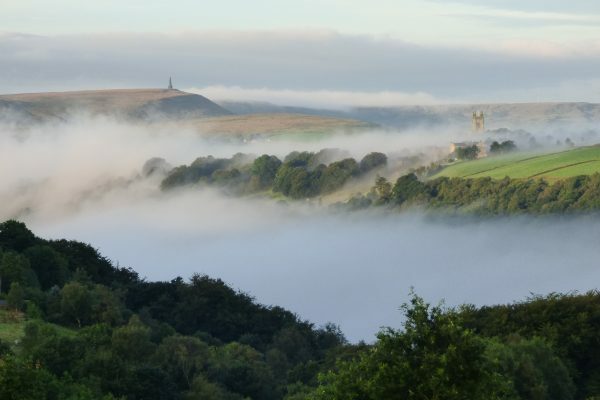 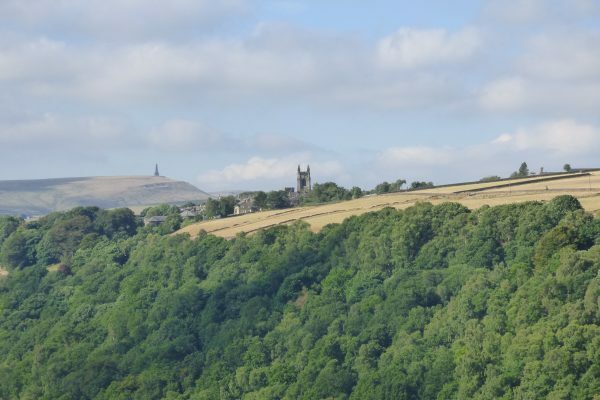 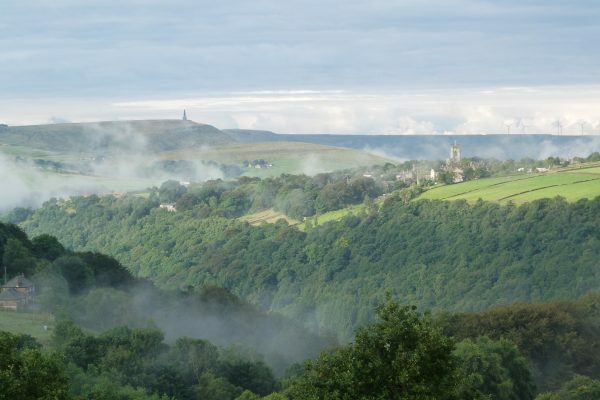 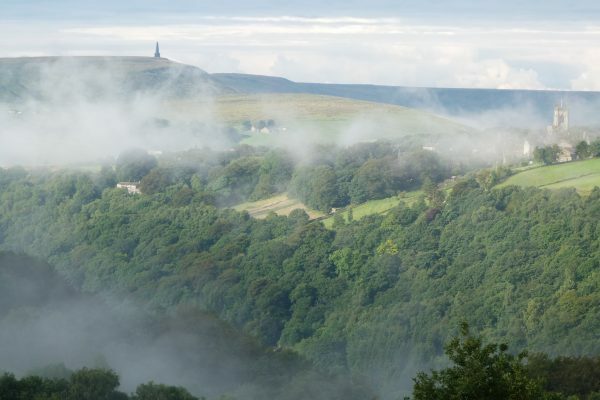 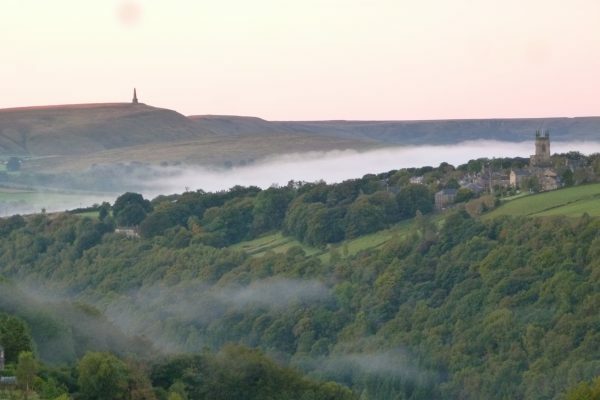 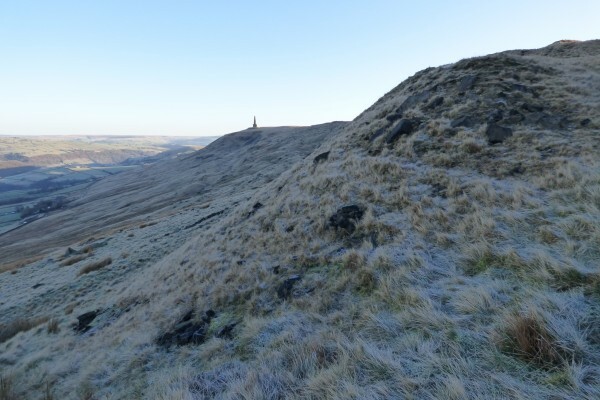 Stoodley Pike is such a prominent landmark in the Upper Calder Valley that it deserves special attention. 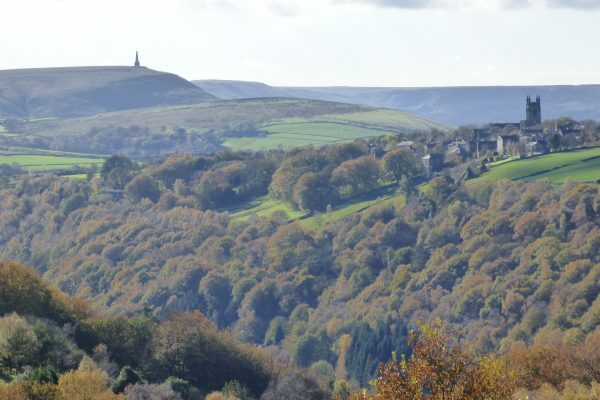 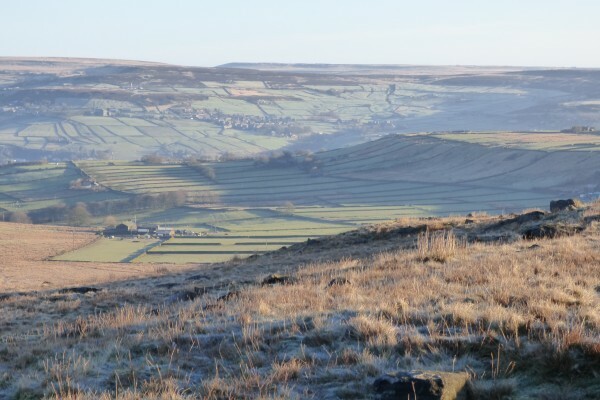 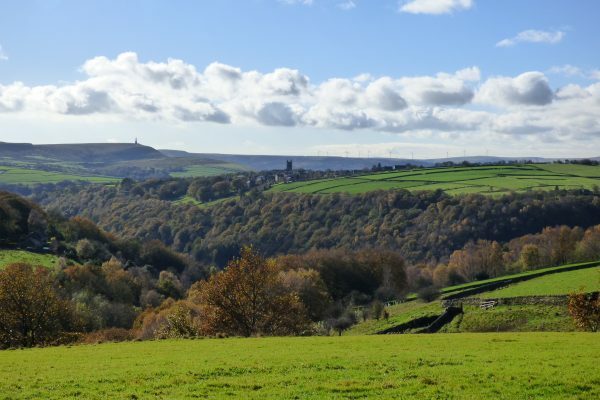 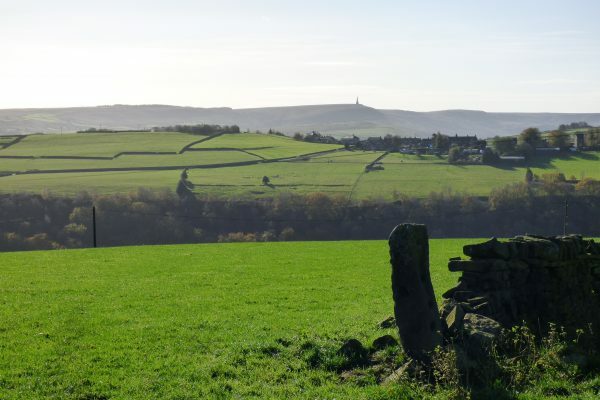 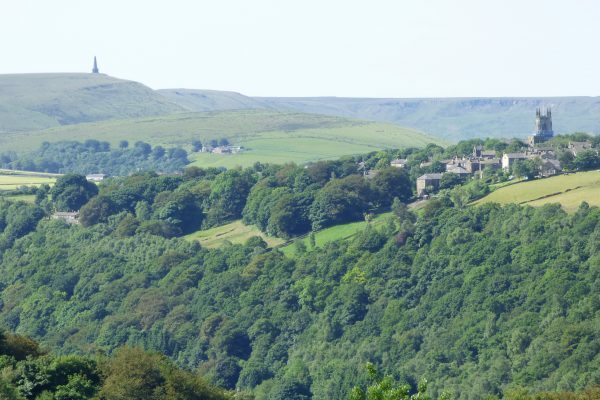 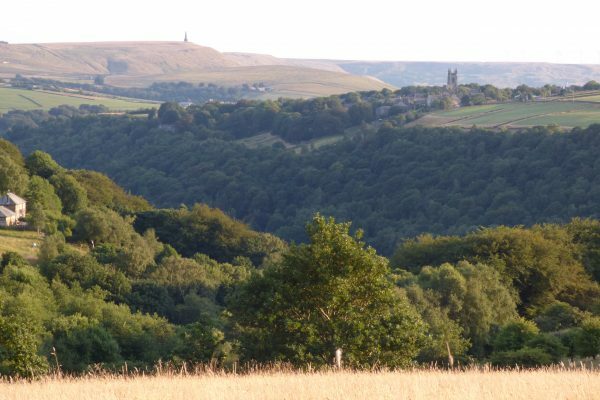 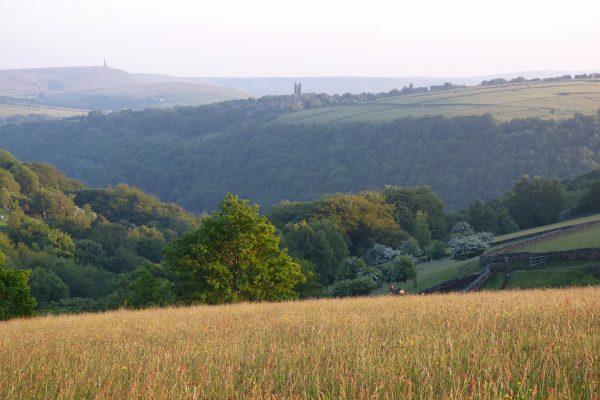 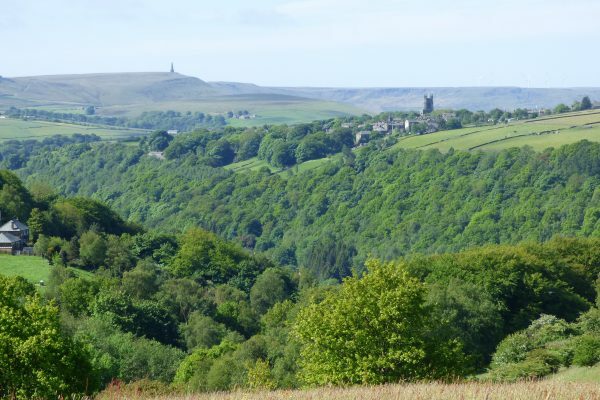 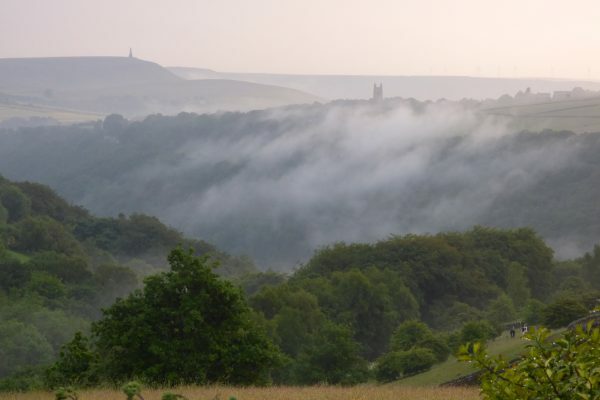 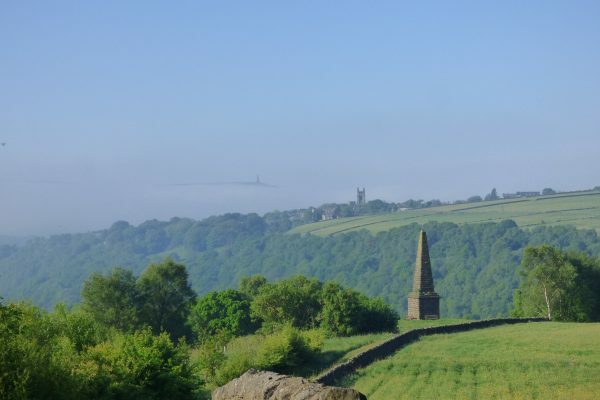 Perched on the hilltop at 1300ft (400 metres) half way between Hebden Bridge and Todmorden, it is visible throughout the area and can be clearly seen on the horizon from Elmet Farmhouse at Pecket Well. 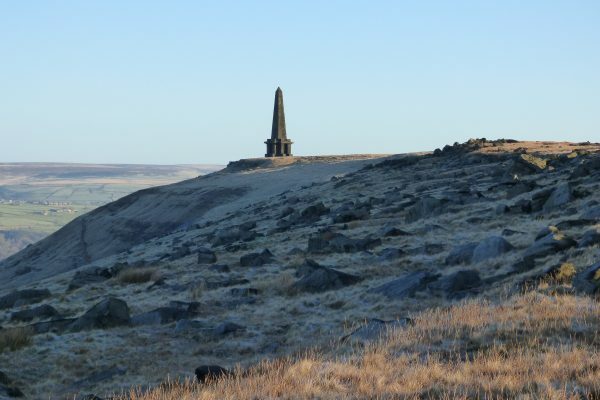 A huge stone obelisk measuring 121 ft, it sits on a ridge at Langfield Common on the route of the Pennine Way. 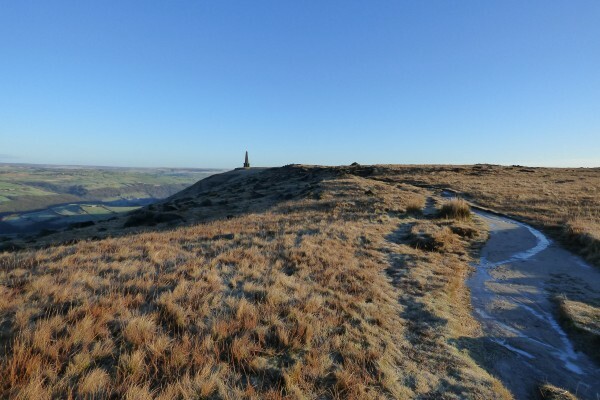 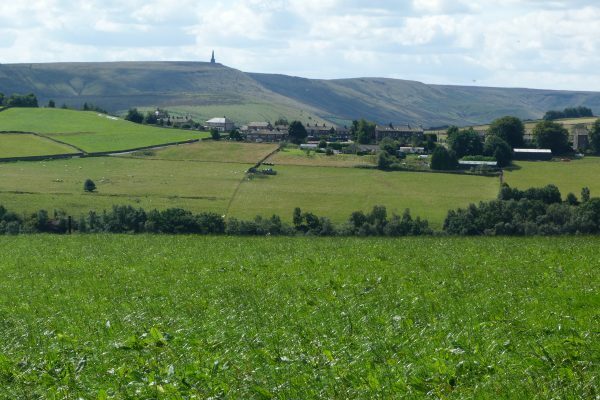 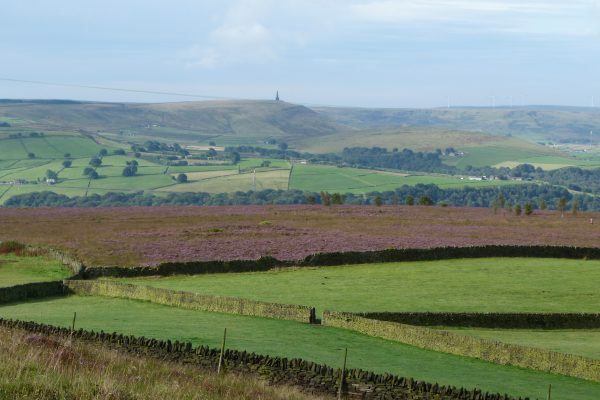 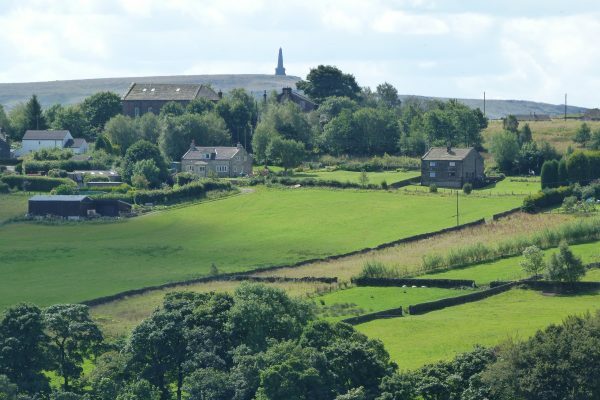 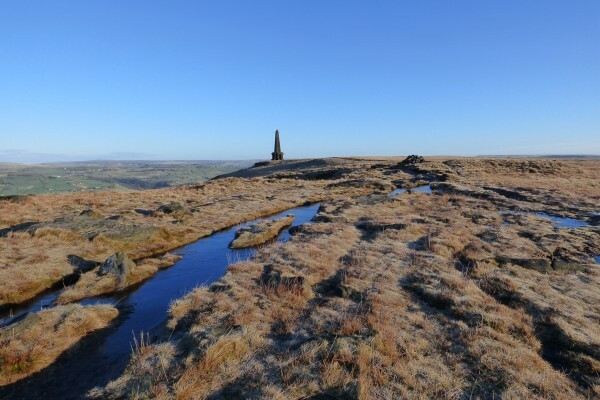 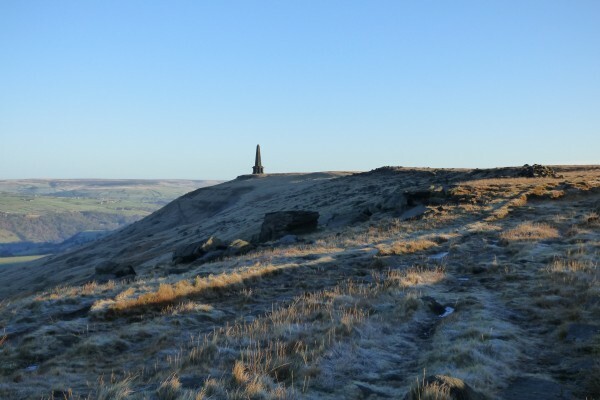 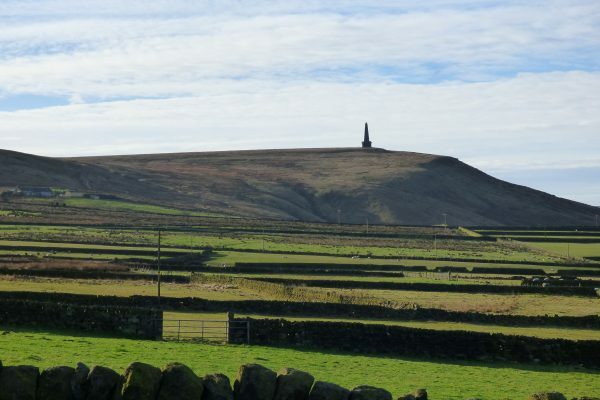 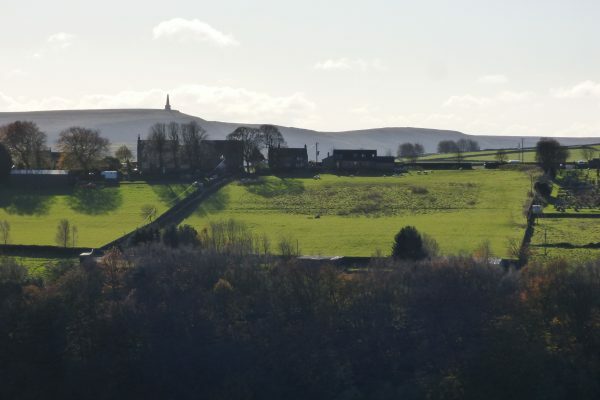 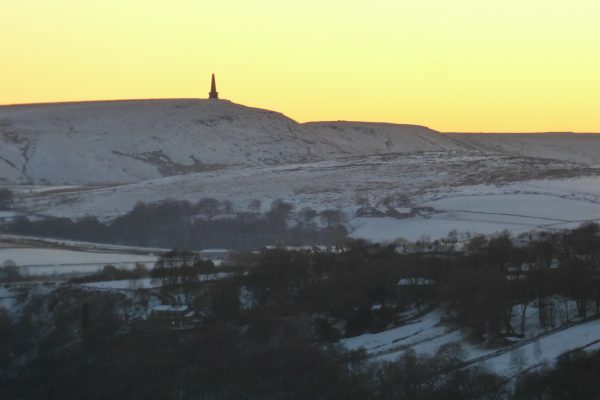 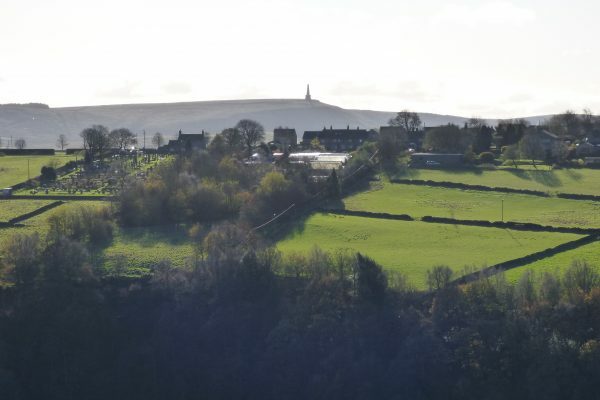 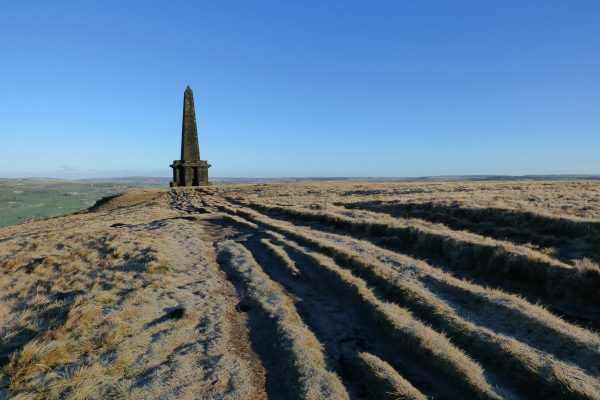 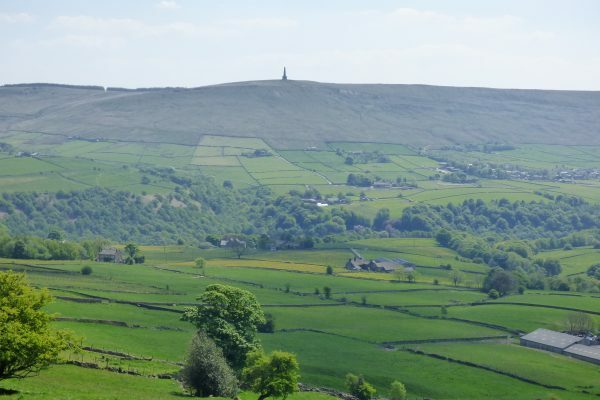 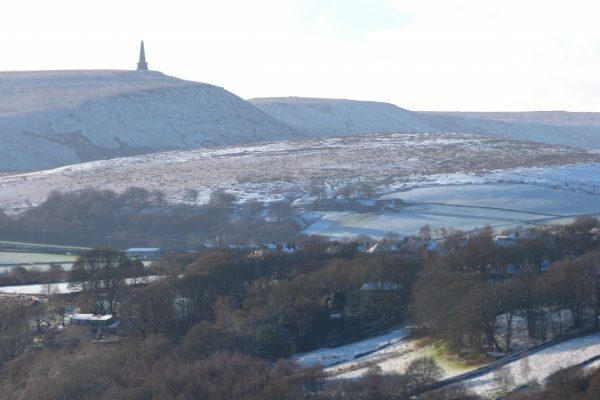 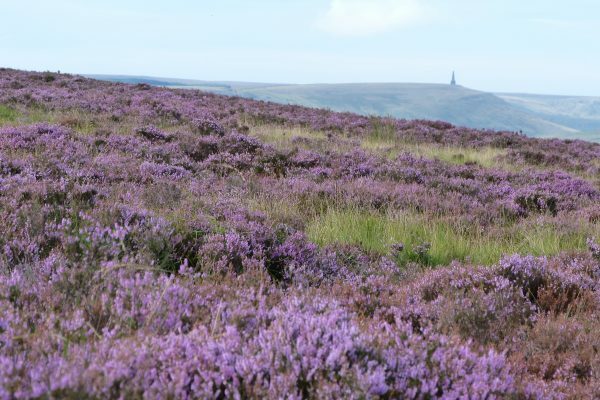 Built to commemorate the end of the Napoleonic Wars, Stoodley Pike was initially erected in 1815 following Wellington’s triumph over Napoleon at the Battle of Waterloo. 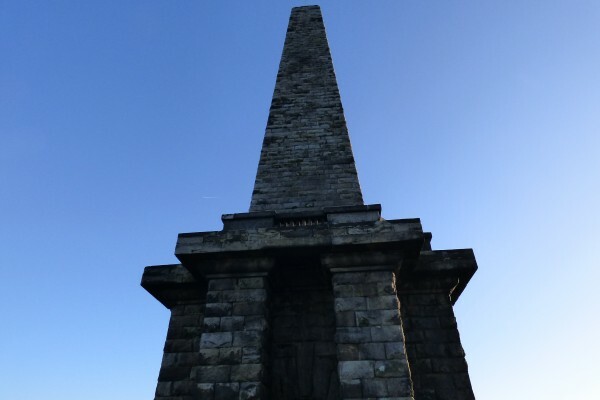 The original monument collapsed in 1854 after being struck by lightning, but it was rebuilt two years later by public subscription to designs by a local architect called James Green. 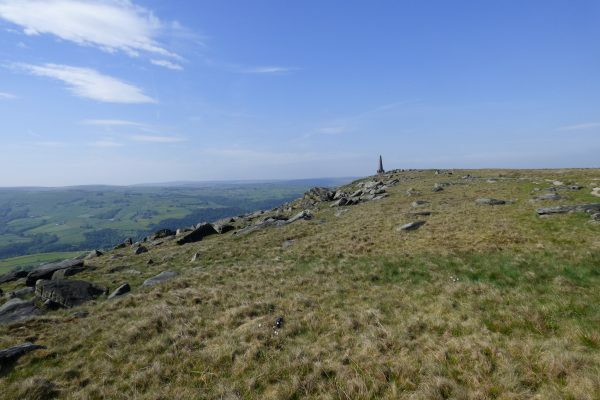 A lightning conductor was added in 1889. 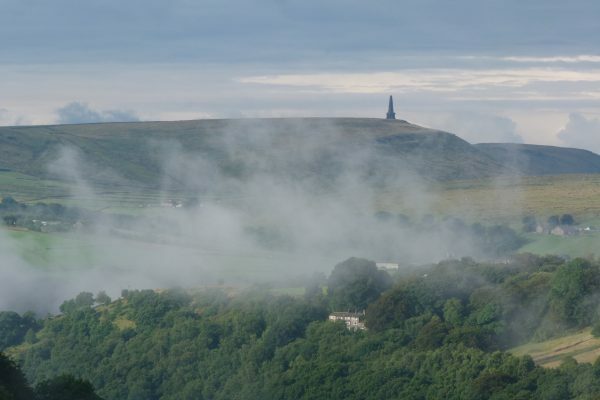 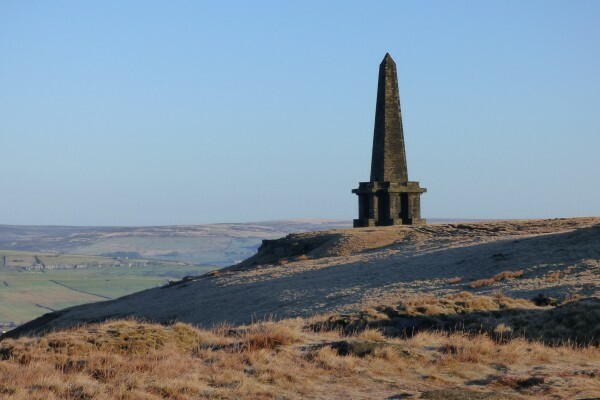 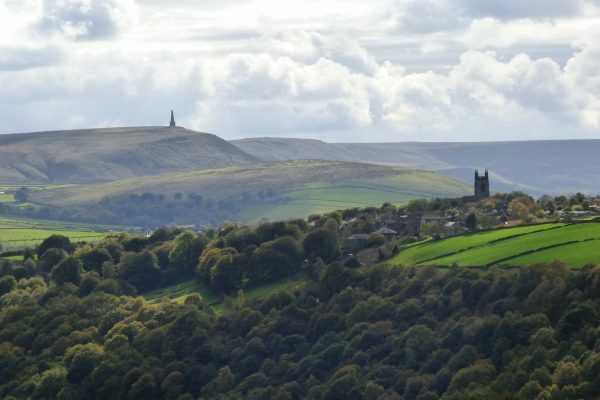 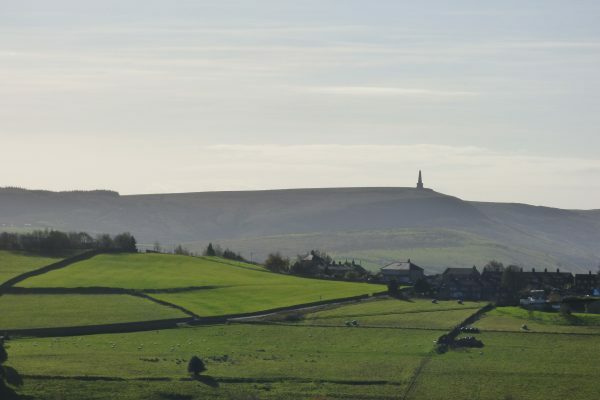 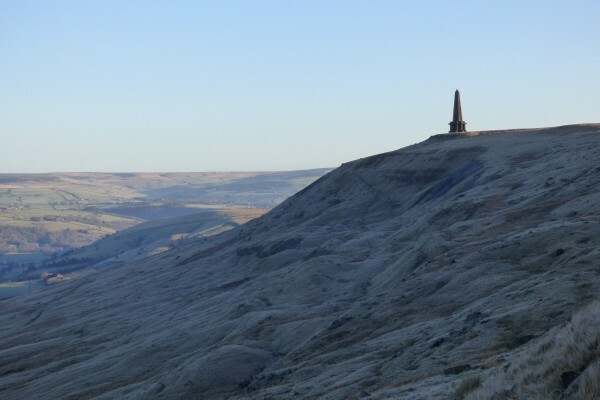 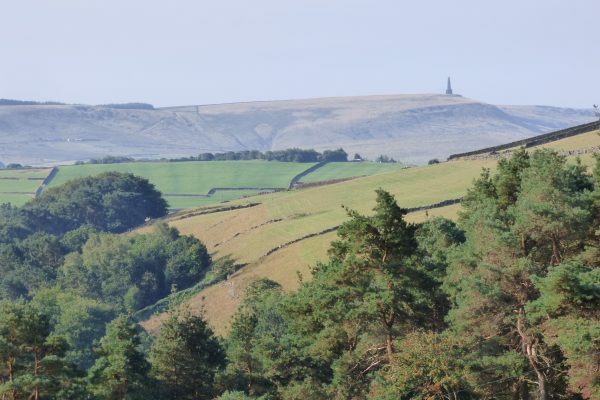 By strange coincidence, the day the original monument collapsed in 1854 coincided with the outbreak of the Crimean War and it was after peace was restored in 1856 that Stoodley Pike was rebuilt. 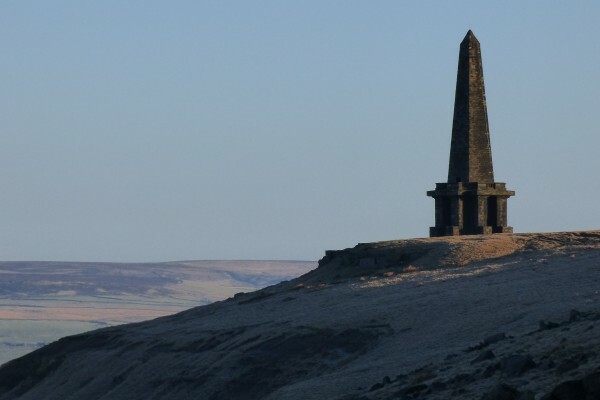 Its significance as a symbol of peace was later highlighted by the Campaign for Nuclear Disarmament, who painted a large CND logo on the monument during the 1970s. 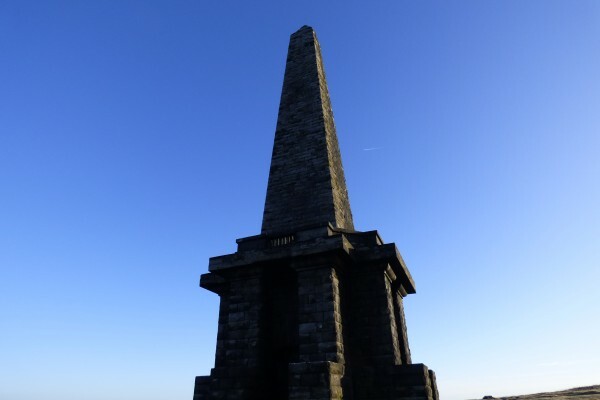 Although subsequently removed, vestiges of this motif can still be seen close up. 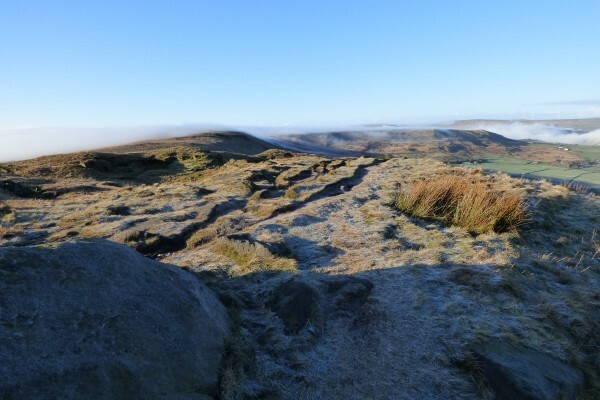 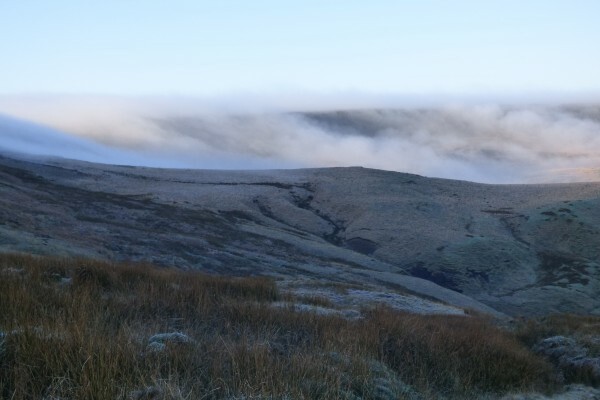 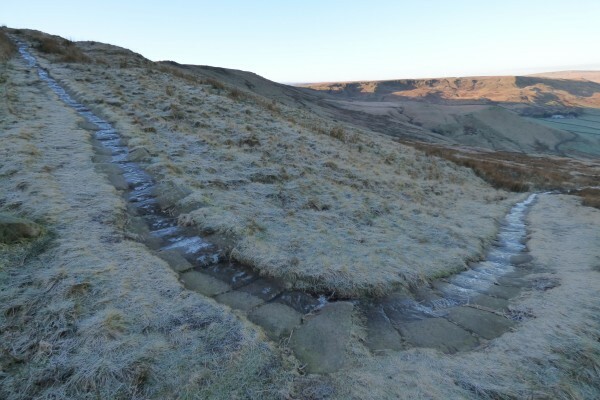 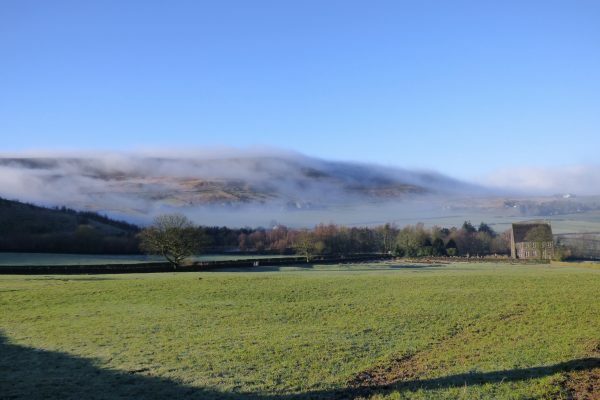 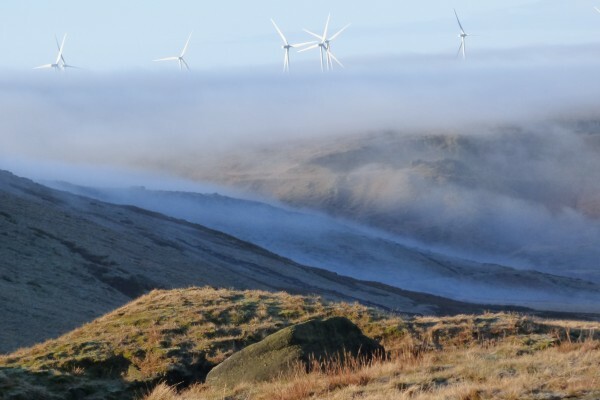 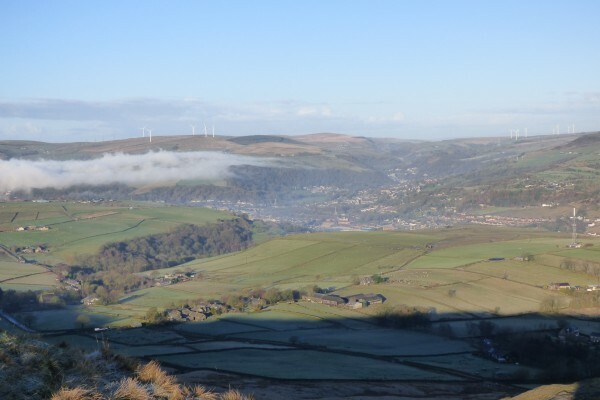 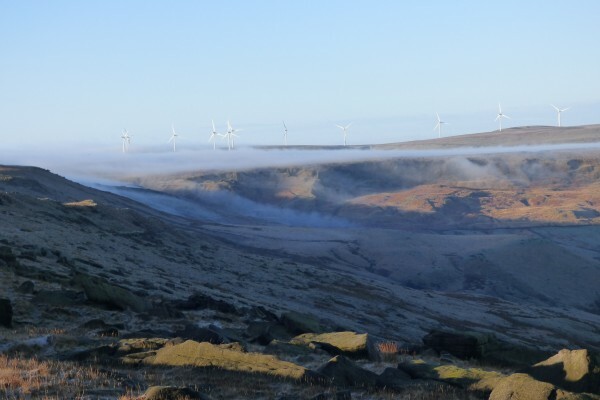 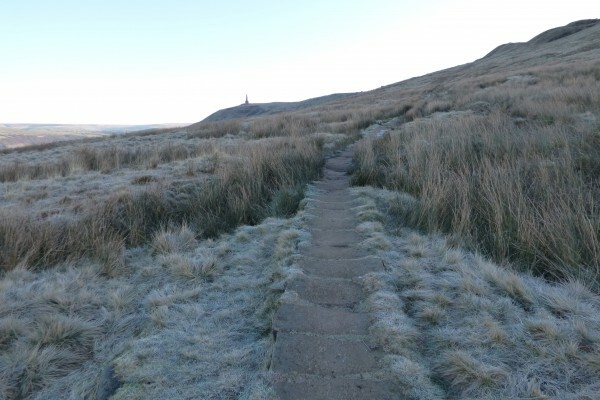 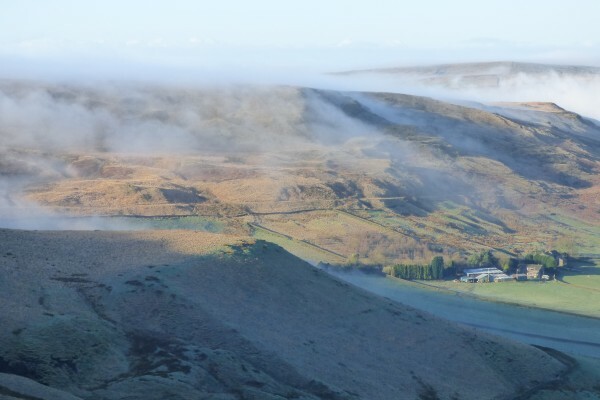 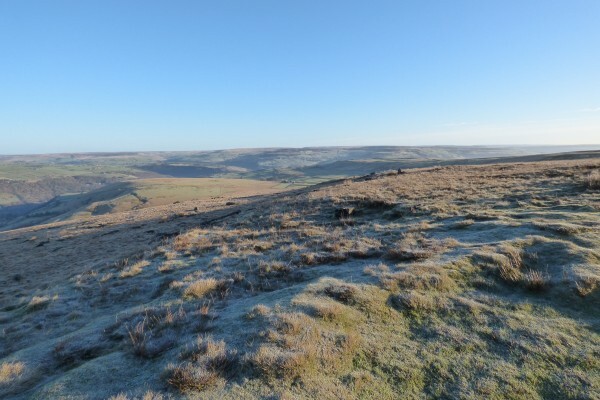 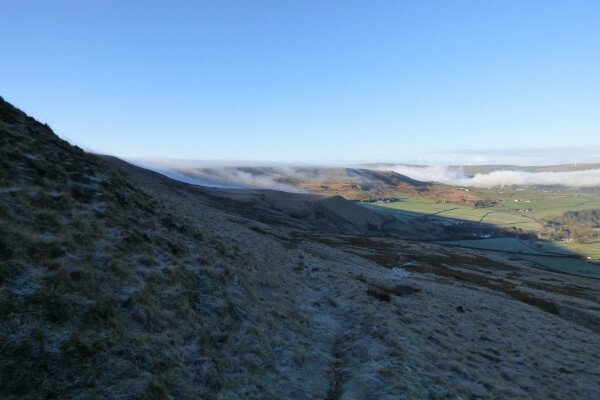 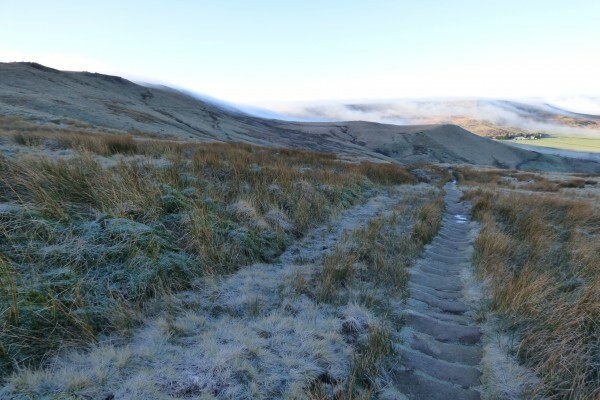 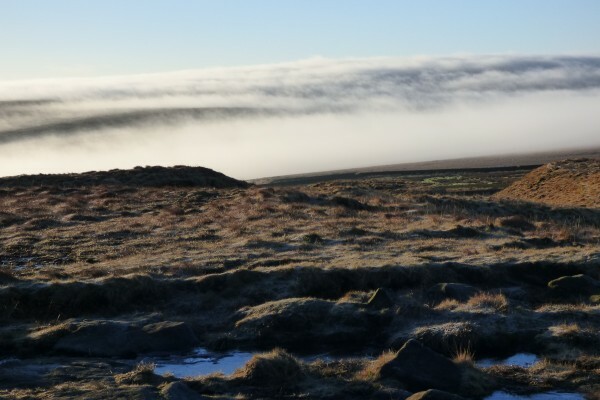 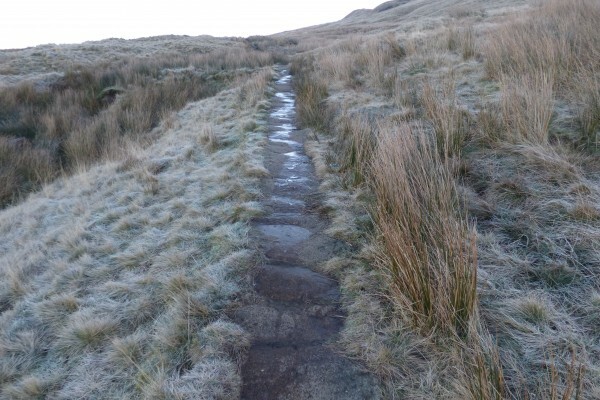 The above sequence of photos was taken on a cold frosty morning on 18 February 2016, ascending from the village of Mankinholes, with misty views towards neighbouring Lumbutts during the descent.